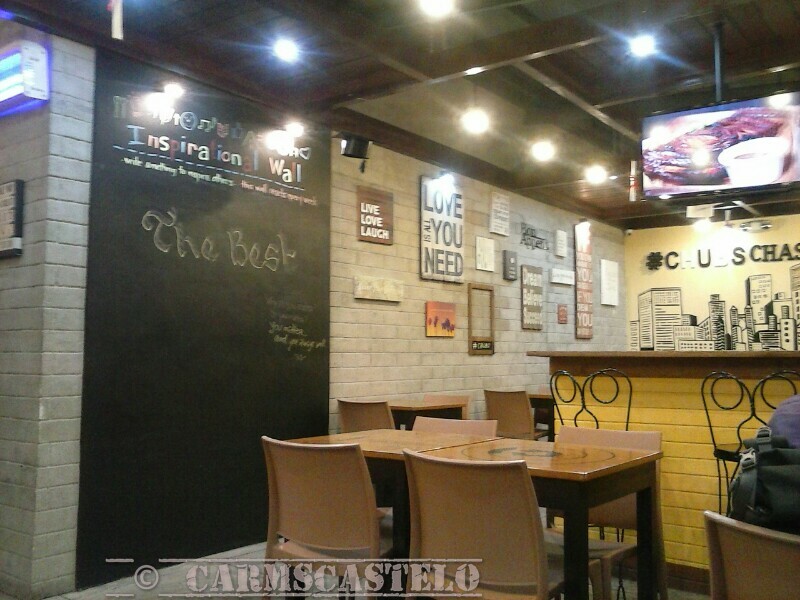 I recently visited a small restaurant in Visayas Avenue in Quezon City. It looks vintage from the inside with more words in the wall and inspiring sentences in the table. My discovery there is not just the place that I like - I like vintage ideas - but the smoothie that I had never tried before. Chubschasers looks like one of the restaurants that I visited in Nimmanheimen Road in Chiangmai. Simple and friendly. The discovery that I am referring to is Chubschasers' beverage. 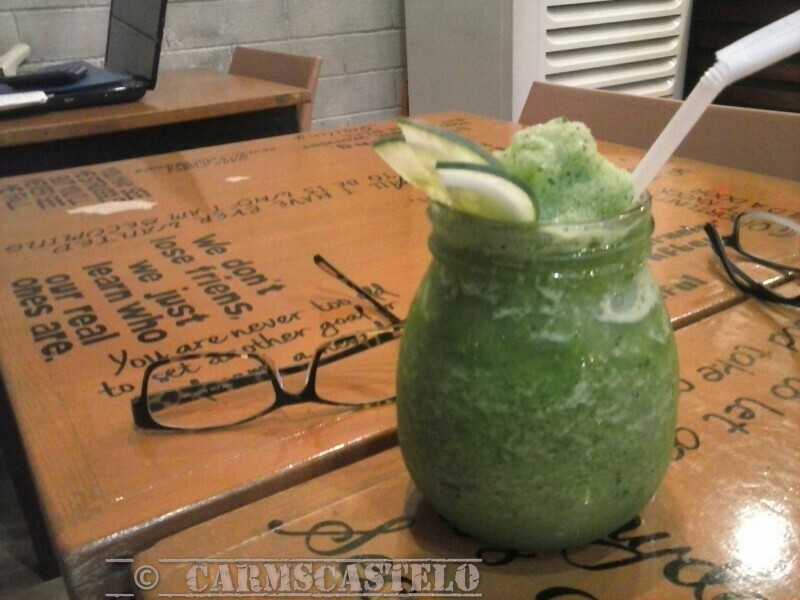 At a price of 99 pesos, the cucumber malunggay smoothie is the best and first time I have ever tried for this. It is a combination of cucumber, malunggay and lime juice. 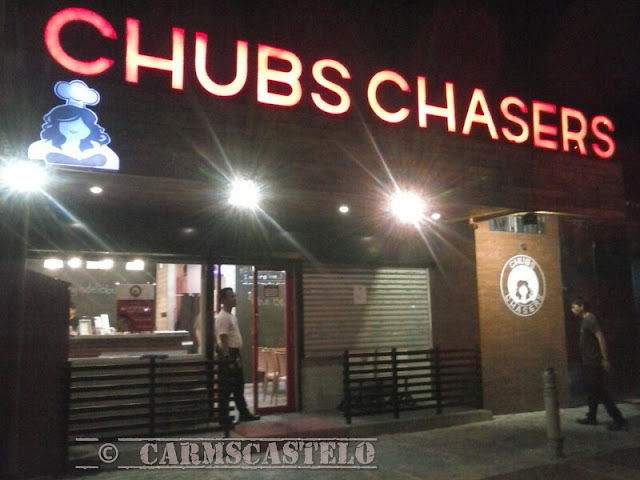 For those who have never tried, visit Chubschasers and try the cucumber malunggay smoothie and definitely, you'll gonna say, let me order another one. The value added for me for the smoothie is the fact that it uses a bottle like that of the glass being used in Gawad Kalinga's Enchanted Farm's organic restaurant. I really love the idea of reusing old stuff and making the most artistic way out of it.